One of the last things we did before leaving for Australia was cleaning out our pantry and fridge. We found a bag of cacao butter that needed to be used, so these happened. We do truffles quite often at home but most often it’s different versions of our date & chocolate truffles. As a Christmas treat, this cacao butter version is more decadent and creamier. 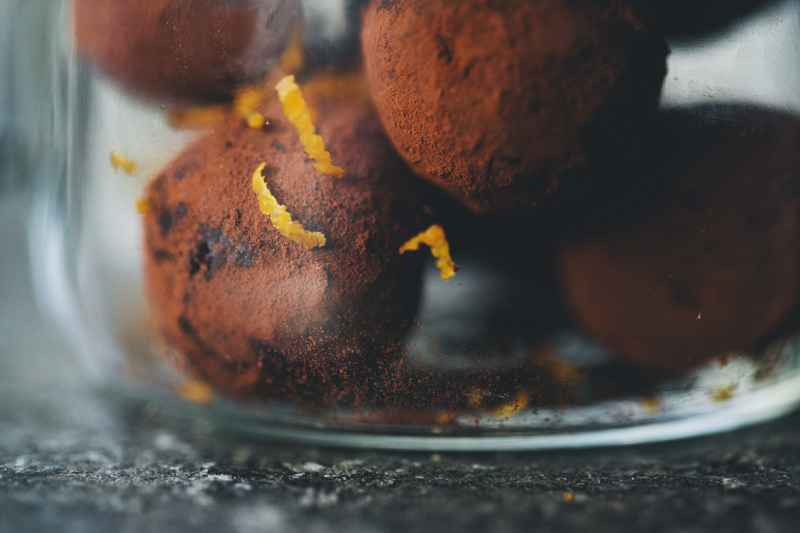 They are the kind of truffles that smudge your teeth on the first bite and have delicate chocolate, orange and ginger flavours that keep on dancing on your tongue even after they are eaten. Wrap them in a jar and give them away as a last minute Christmas gift. Just make sure to save a few for yourself. Cacao butter is pure oil from the cacao bean and has a delicate chocolate aroma. It usually comes in a solid chunk or bar. Cacao butter consists of healthy fats including the essential omega fatty acids and is high in antioxidants. It melts on low temperature and is therefore great for raw food desserts and homemade chocolate. Try also adding it to smoothies, ice cream or rub it on your skin as a moisturiser. Another little project that we worked on before we left was this Natural Apotechary poster that we created together with Swedish designers Dry Things. 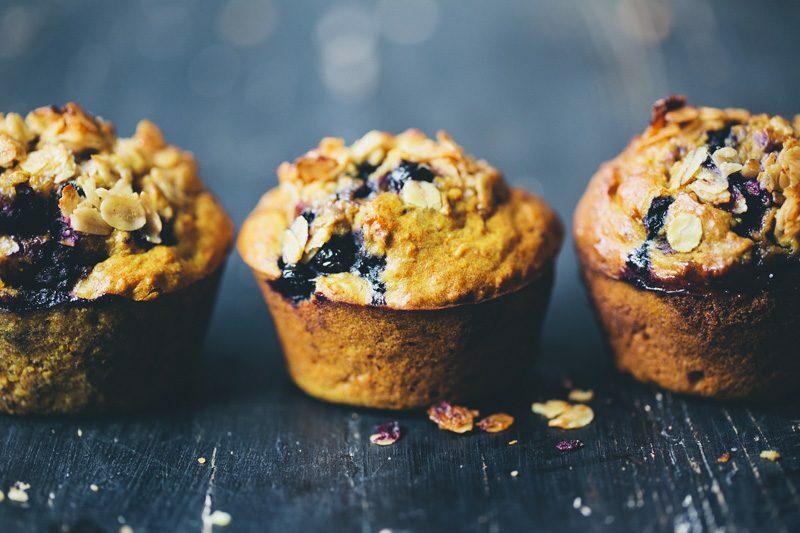 Luise has listed healthy ingredients from A to Z and explains a bit about why they are good for you. It’s 50×70 cm (19,5×27,5 inches) large. 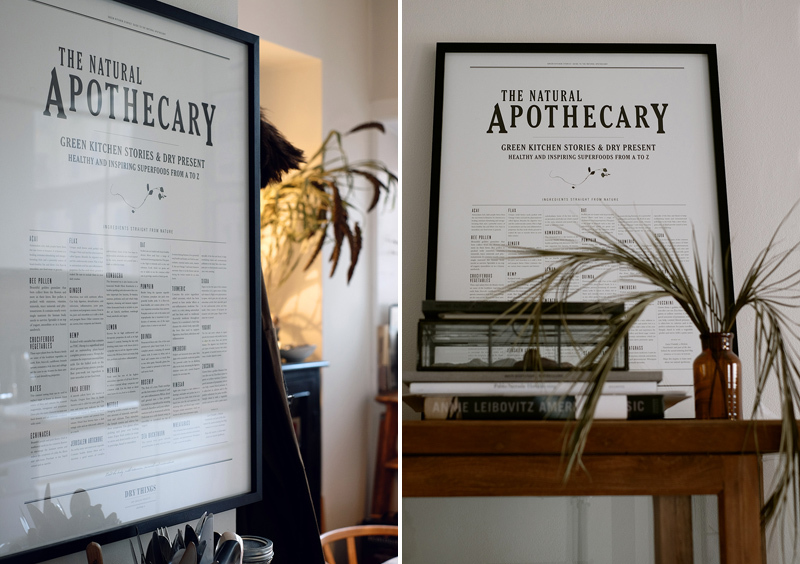 All their posters are made with the highest quality and printed on beautiful paper. It’s available in Dry Things cute little shop in Stockholm and in their webshop. We are working on a recipe and a post about our time here in Australia. In short, we are having a wonderful wonderful time. Best thing about the trip is that we get to spend all our days with these two monkeys! You can follow us on Instagram if you want to see more photos from our trip (David | Luise). Heat water in a small saucepan, place a heatproof bowl on top. Measure out all ingredients. Melt the cacao butter over a water bath, while stirring. Remove from heat, add coconut oil and honey and whisk until well combined. Add cacao powder, orange juice and sea salt and whisk until thick and smooth, for about 30 seconds to a minute. Place in the fridge to cool and set for 10 minutes. Then form 15 – 20 small round truffles with your hands; they should be half the size of a golf ball. 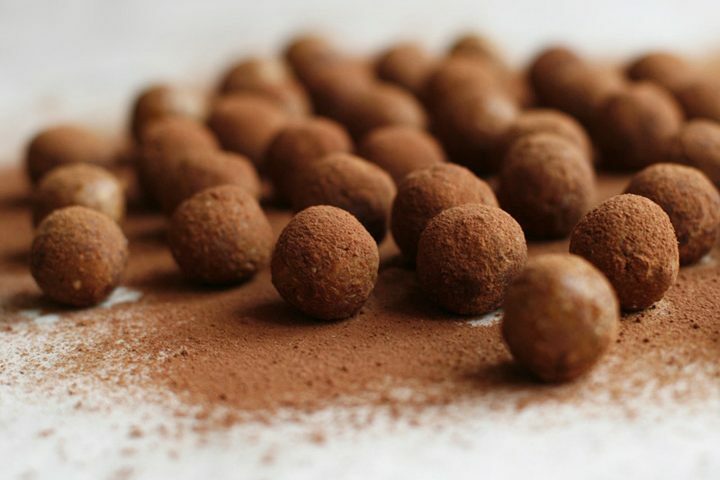 Roll the truffles in cacao powder and store in the fridge. PS. If you are in Sydney you are welcome to meet up with us on a picnic tomorrow (Sunday). It’s very last minute and completely chillaxed. We just thought it could be fun to meet up with like-minded. 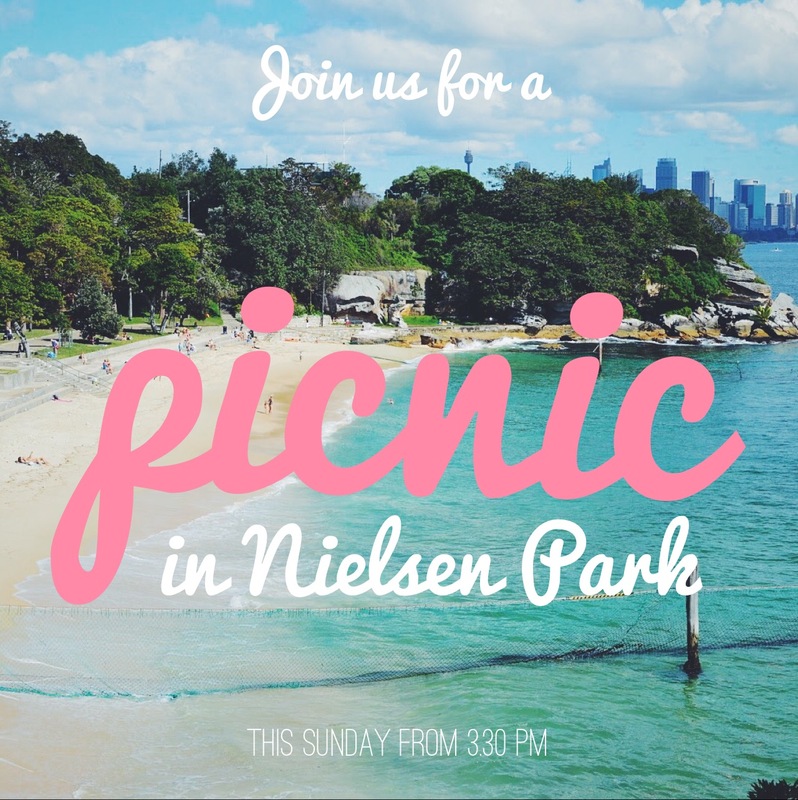 We’ll be in beautiful Nielsen Park from 3.30 pm. Bring food and drinks and we can all share a bit with each other. Chocolate is everywhere! It's Christmas, so I've got a great excuse! Now, I've had recipe somewhere for delicious truffles...somewhere in a drawer...I think I'll try yours. The orange twist sounds great! Oh gosh! isn't it genius! I made ginger orange cookies today, but I couldn't even think of ginger orange truffles! 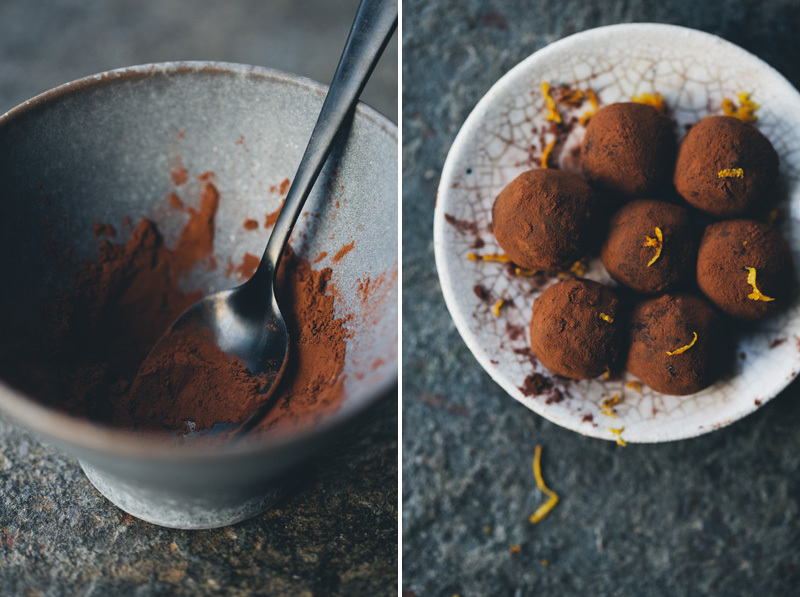 Such easy but delicious looking truffles. Love the orange and ginger in these especially. Wish I could be at your picnic! That is one beautiful looking poster! 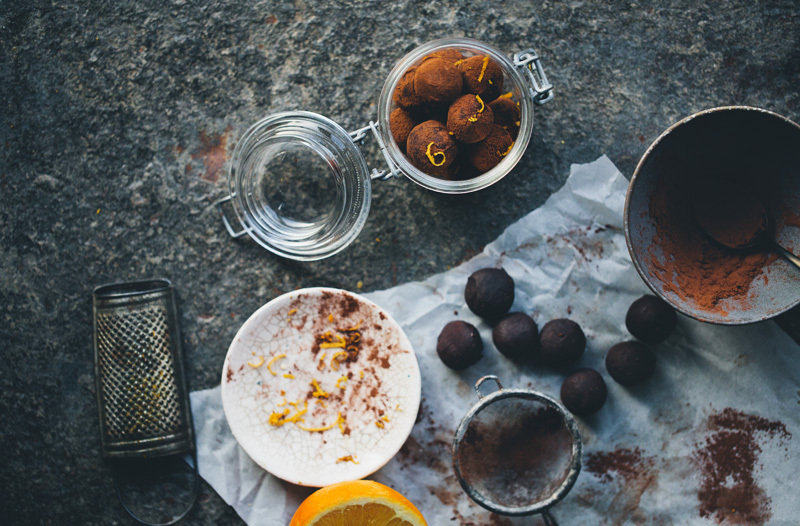 And these truffles look amazing. 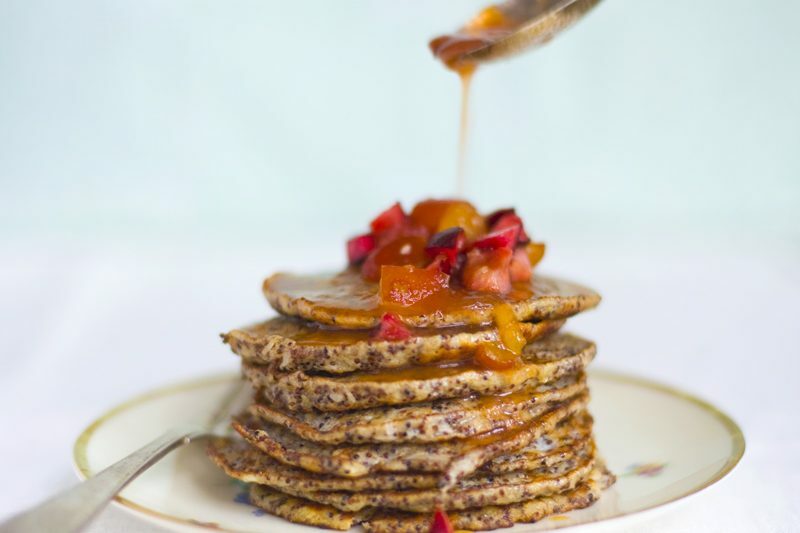 I also have a bag of cacao butter in my pantry that I have been waiting to use (I am not sure what I was waiting for...), so I will make these because they look perfect! Have a great time in Australia! Thanks for this delicious sounding recipe, will probably get into it today! Have a wonderful time here in Down Under, it is pretty special! I immigrated to Melbourne about 18 years ago, from Munich. Enjoy, and if you need help just email me. I mean it. 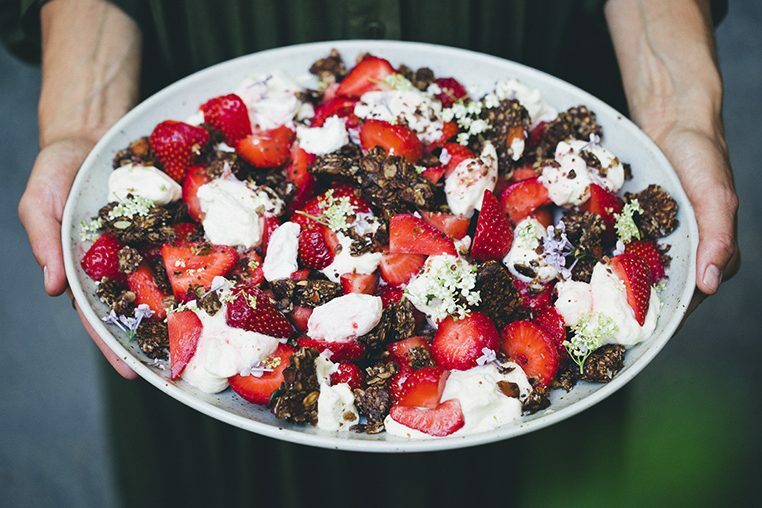 This looks amazing David and Luise - so delicious and a perfect winter gift! I buy cacao butter for my body...I will have to save a few ounces for this delicious looking recipe. We'll make sure to make those for our next picnic! Too bad we're not in Sydney to share them with you guys. Enjoy the sunny beaches! These look beautiful and are my absolute favorite flavors! These look delicious! I tried to make a "white chocolate" truffle yesterday with cacao butter and they ended up being too flaky (?) to roll properly. I'm looking forward to trying this recipe. 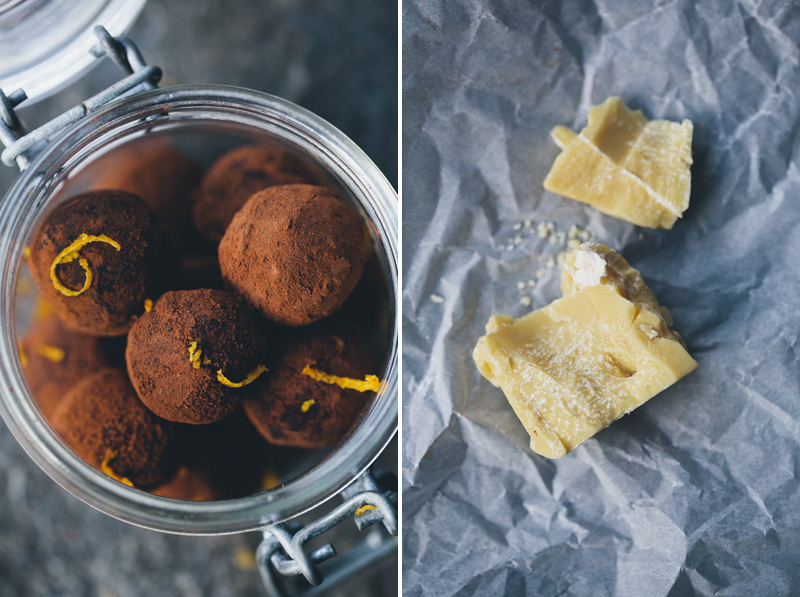 I love your date truffles and can't wait to try these. 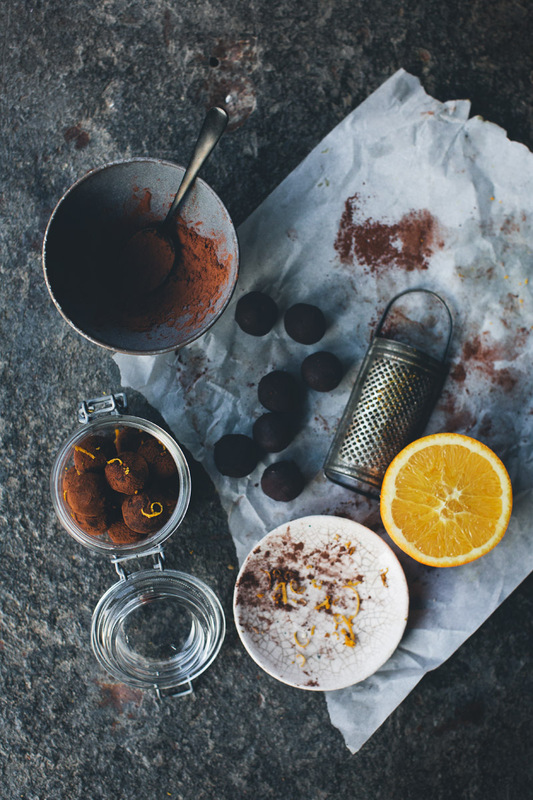 Orange, ginger and chocolate sounds like an awesome combo! Enjoy your trip, wish I could be there to join the picnic!